My daughter's University friends are all having birthdays and I made this one recently for Dylan. I got out a retired set called Rev up the Fun for this easel card. The cardstock is Very Vanilla and Night of Navy and I've used the Large Letter dies here for the 18 with a simple version of the Eclipse technique. Here's the greeting used to anchor the easel. This is the side view to show how the Easel sits. Thanks for stopping by today, I hope you've enjoyed seeing my card. Have a great day. 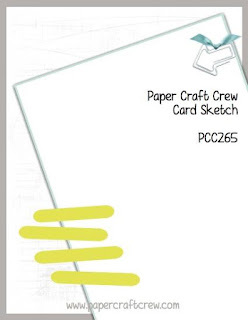 Its Wednesday once again and that means its time for our challenge at the Paper Craft Crew. Here's our sketch and we can't wait to see your take on it. I've made a Christmas card combining Snowflakes from the Seasonal Layers thinlits, Year of Cheer specialty dsp and Fresh Fig cardstock. Snowflakes have been cut from both Gold and Champagne foil. Joy was cut from Fresh Fig card using the Wonderous Wreath framelits. Thanks so much for joining us this week at the Paper Craft Crew. 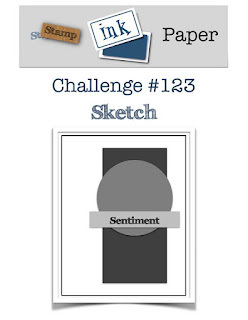 Can't wait to see what you create with this weeks sketch. Have a great day. 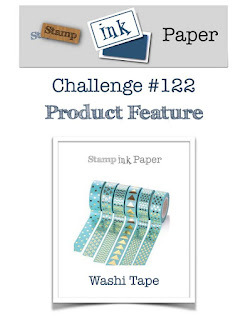 Welcome to this week's challenge at Stamp, Ink, Paper. 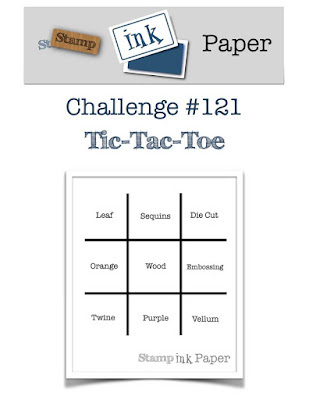 You are invited to choose your own theme this week and make a card with your favourite products. As I just held at Christmas class on the weekend, I'm sharing a Christmas card with you that I made. The bundle I used was from the Holiday Catalogue and is called Carols of Christmas and contains the cute Card front Builder thinlits which were used to cut out the trees, stars and the deer. The cardstock is Basic Black, Bermuda Bay and Shimmer White and some Champagne foil. The Ink is Basic Black and its been spritzed with a few drops of Bermuda Bay ink in water. Thanks so much for joining us this week at Stamp, Ink, Paper. 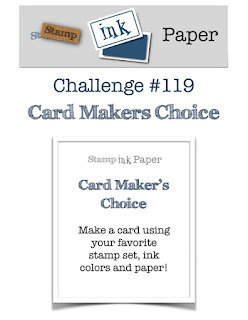 We look forward to seeing what you create for Cardmaker's Choice.